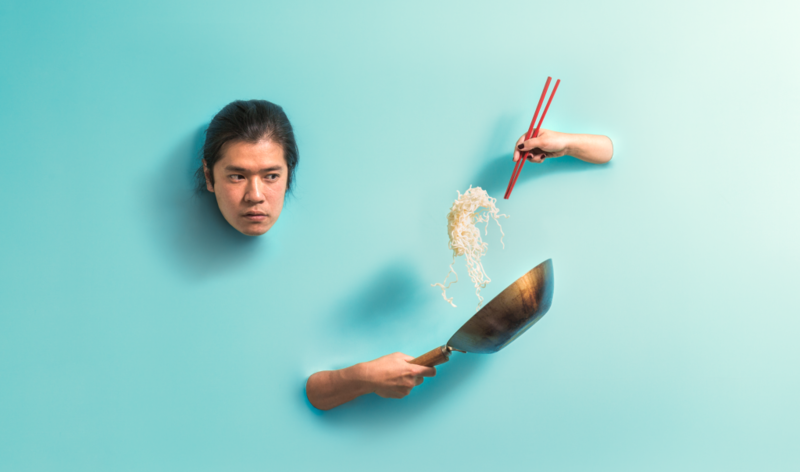 Welcome to my website and personal project: noby leong – Experimental Cook. I hope you can join me as I chronicle my journey through food. For the last ten years, I have trained and worked as a scientist, even completing a PhD in chemistry. I also worked as a science communicator, editing the blog The Other Side of Science and contributing to many science publications across the web including the Royal Institution of Australia and Nature. I even briefly became a wannabe artist, performing a science show called The Free Beer Show at the Adelaide Fringe Festival. But now, I’m hunting for new food and cooking adventures. I kickstarted my food adventures as a contestant on the SBS cooking show The Chefs’ Line, and as a host on ABC’s Catalyst, where I delved into the foods of tomorrow. Through this website, I hope to combine my scientific training with my love of food. I want to discover the secrets of cooking, delve deep into our relationship with food and understand the science of what keeps us alive. I hope you can join me living life as an experimental cook.